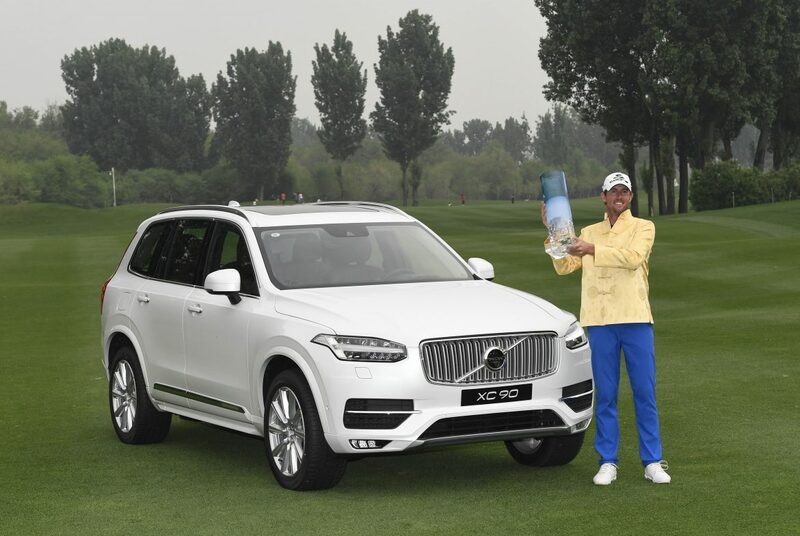 Sweden’s Alexander Bjork won the RMB 20 million Volvo China Open and the first European Tour title of his career playing the “best round of my life” at Beijing Huairou Topwin Golf and Country Club. The 27-year old – the first Swedish winner in the event’s 24-year history – carded a flawless final round 65 (-7) to finish on 18-under par, one shot ahead of Spain’s Adrian Otaegui in second on -17. English pair Jordan Smith (64) and Matt Wallace (68), along with Spaniard Jorge Campillo (67), finished in a tie for third on -16. “It’s hard to describe my emotions – I’m just really happy and so proud of the way I handled myself,” said Bjork, following a round that contained seven birdies and no dropped shots. “I didn’t notice the leaderboard too much on the front nine but when I did look and saw that guys were out in front on -16, I knew I had to get birdies on the way in,” added Bjork. “That kept me focused and I knew what I had to do. The Swede, who also collected a cheque for RMB 3.333 million, had seen the lead change hands throughout the day with Denmark’s Lucas Bjerregaard the first in the clubhouse on -15 after a brilliant 64 (-8), just minutes before England’s Jordan Smith set the new tournament target of -16 thanks to another blemish-free 64 that featured eight birdies. That left Bjork, Otaegui and Wallace to fight it out and when the Swede made a superb birdie on the 17th coupled with Otaegui’s bogey on the same hole, Bjork was firmly in the driving seat – a position he maintained to the end. Elsewhere Chinese fans were fired up thanks to a late charge by 2015 Volvo China Open champion Ashun Wu who picked up four shots in three successive holes, including a hole-in-one on the 177-yard 13th. Wu’s final round 67 (-5) was good enough to give him a total of -14 and a share of seventh place.